Who doesn’t love customization?! 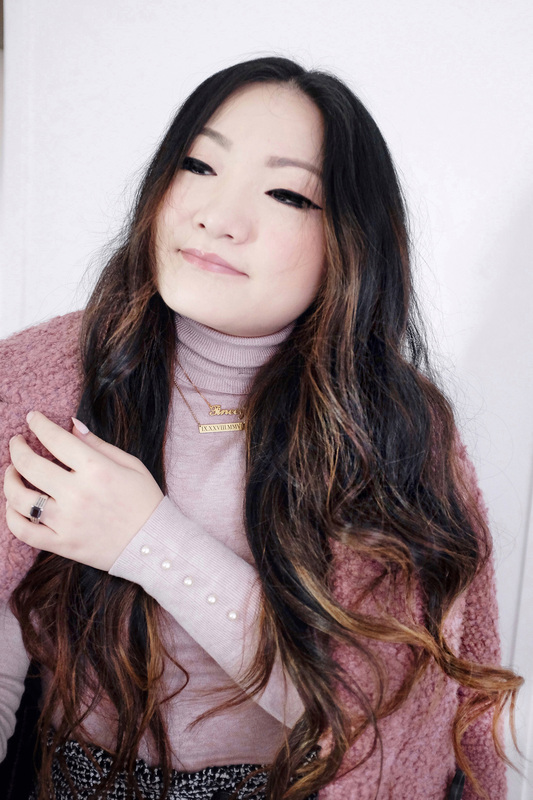 Today, I wanted to show you my newest jewelry additions. Both are personalized necklaces from oNecklace. If you give the site a browse, you will noticed a wide range of pieces from rings, bracelets, earrings to necklaces all ready to be personalized just for you or someone special. Since, I very minimal in terms of the jewelry I like to adorn (with the exception to earrings), I decided to get custom necklaces made. The first one I picked was the roman numeral plate. 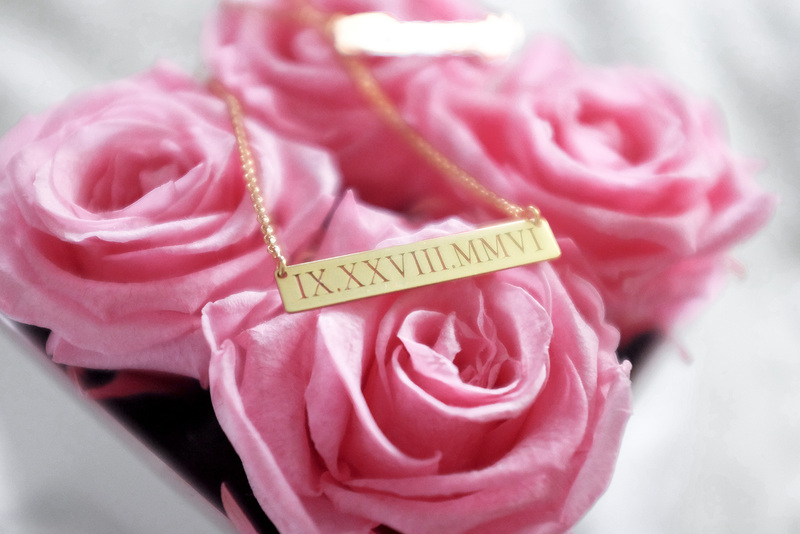 It seemed like the perfect choice since I have Andy and I’s anniversary date written in roman numerals on my Facebook profile. Now I have a special sentiment to wear. I’ll tell you now, I wore this out last week and already got compliments! Oh, to make things easier for you, there is a roman numeral conversion tool on the site! You can find that HERE. For my second necklace, I wanted something for myself. I went with the classic. I’m definitely channeling Carrie Bradshaw vibes with it. I went with a smaller name size, because I love the delicate nature of it. I’ve owned a larger name necklace in the past and the smaller size feels a lot chicer. 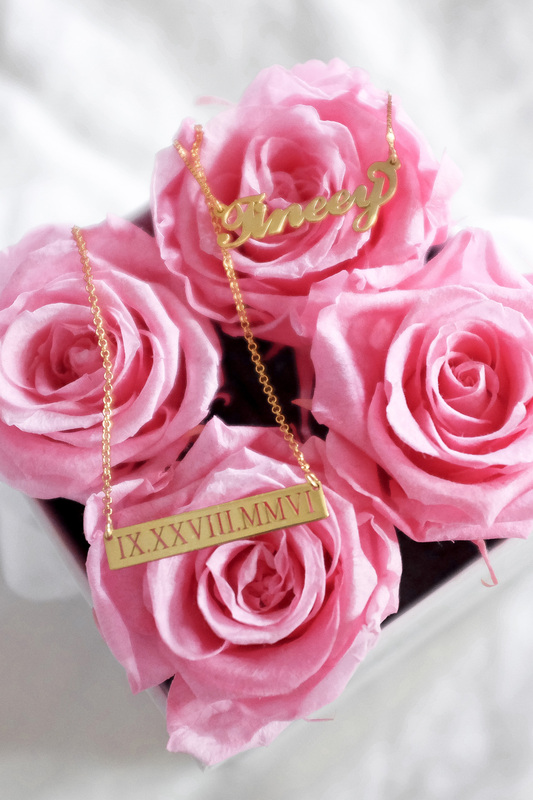 I love that you can customize the lengths of these necklaces. 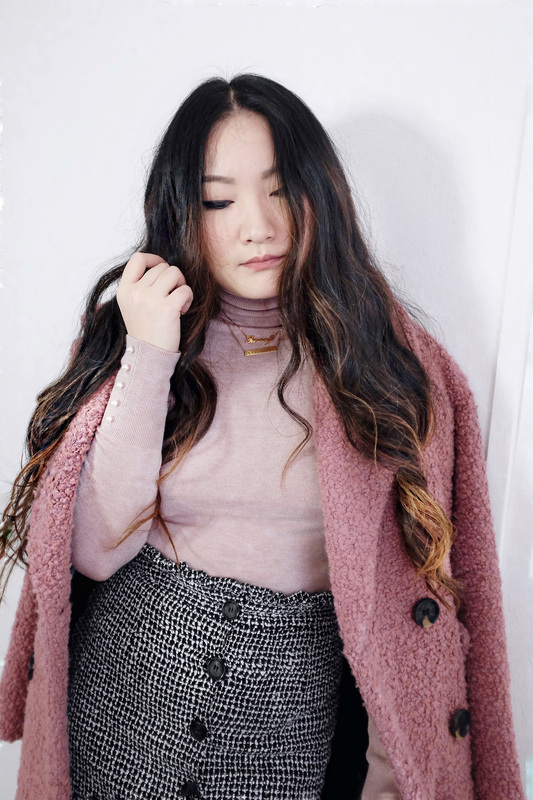 It’s perfect if you want to create a layered look over a turtleneck or lower necklines when its warmer. They have been such great conversation starters and everyone has loved them. Plus, the best part is how affordable it is. The prices differ depending on the type of metals you like, so theres something for everyone. If you’re interested, oNecklace has given me a discount code to share with you guys!